Walk into our Framingham, MA branch and you instantly get a community feel. Customers and colleagues exchanging pleasantries and catching up about their children, friends and what’s happening in town. 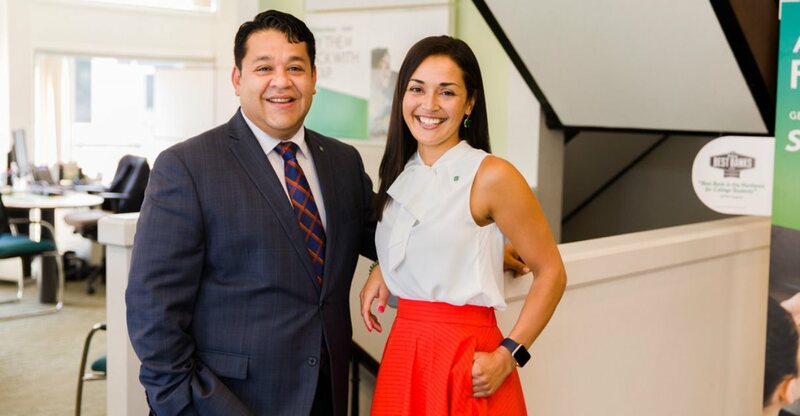 Fueling these conversations is two of our colleagues, Karen and Omar, Hispanic Americans with strong ties to the community. We sat down with them to talk about what it means to be part of the Framingham community. Omar has worked for Citizens Bank for the entirety of his 14-year financial industry career! Omar works side by side with his portfolio customers, providing solutions through specialized products and services that improve financial processes and help grow their businesses. Fluent in English, Spanish and Portuguese, he is able to do business with his wide variety customers in their native language if they so choose. Many of Omar’s clients are top-tier businesses that serve many residents in the greater Framingham area. Karen, too, is reminded of her early years and the influence it has on her today. “My father worked three jobs growing up to provide for my sisters and me to go to college. I learned from him how to persevere in my work and be optimistic while doing so. I think this same attitude exists here within the Framingham community as well,” comments Karen. Learn more about other awesome colleagues like Karen and Omar at Citizens and how you can apply to join our organization.